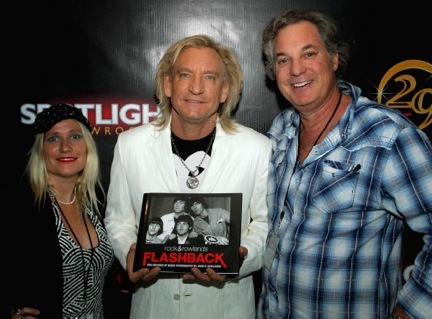 Joe Walsh had begun his rise to fame with Kenny Passarelli and Joe Vitale as Barnstorm. After the loss of his daughter Emma and subsequent divorce, he left Colorado for Los Angeles. He found his place with the Eagles after they lost Bernie Leadon. After he joined the band, he helped put together their most famous album Hotel California. Walsh was instrumental in changing the Eagles' sound from country to rock. 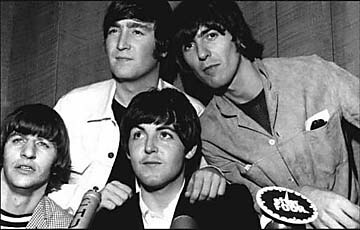 He continued to release solo albums while with the band. Of course, times in the Eagles were shaky and the band broke up under pressure in the early 80s. Walsh continued to tour and toured with Ringo Starr's All-Star Band. In the late 90s, the Eagles (with Joe Walsh) were inducted into the Rock N Roll Hall Of Fame and they continue to tour together on and off. The Eagles appear in Rock & Rowlands Flashback; here, Joe is pictured with Max von Wening and the book.